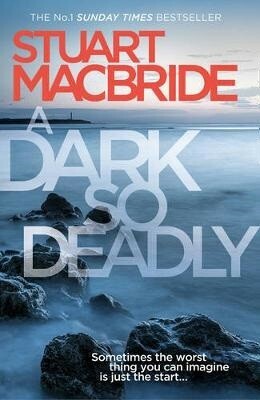 Stuart MacBride, no 1 Sunday Times Best-selling crime author of the Logan McRae series, will be in our shop to meet his fans and sign copies of his new thriller A Dark So Deadly. Welcome to the Misfit Mob...It's where Police Scotland dumps the officers it can't get rid of, but wants to: the outcasts, the troublemakers, the compromised. Officers like DC Callum MacGregor, lumbered with all the boring go-nowhere cases. So when an ancient mummy turns up at the Oldcastle tip, it's his job to find out which museum it's been stolen from. But then Callum uncovers links between his ancient corpse and three missing young men, and life starts to get a lot more interesting.